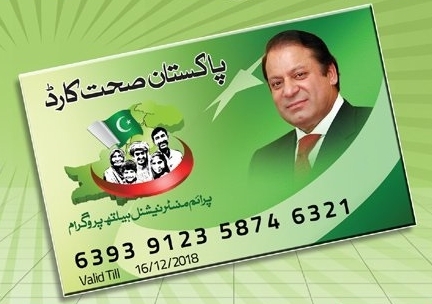 Pakistan Health Card aka Sehat Card has been launched in Pakistan for provision of health facilities to common poor people in a respected way. Health/ Sehat Card can be used for treatment of any disease that requires the patient to be admitted in the hospital . This health card scheme would enable the entitled poor patients’ access the public and private panel hospitals, even for the treatment of Cancer (Chemo, Radio, Surgery), Heart Diseases (Angioplasty/bypass), Organ Failure (Liver, Kidney, Heart, Lungs), Hepatitis/HIV, Diabetes, Kidney Diseases, Dialysis, Pregnancy/ Maternity Services (Normal Delivery/ C-Section), Fractures, injuries and burns. Currently, people who are living in 23 priority districts and earn less than Rs.200 a day (according to BISP Survey), are the beneficiaries of PM National Health Program. 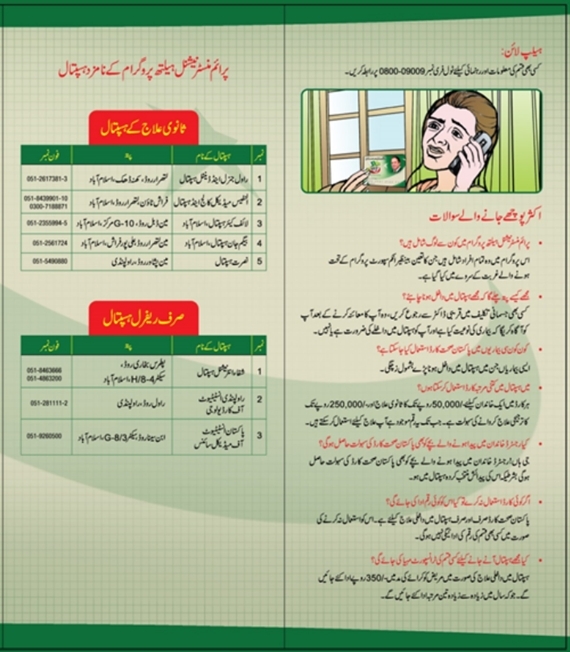 How to get Pakistan Health Card? 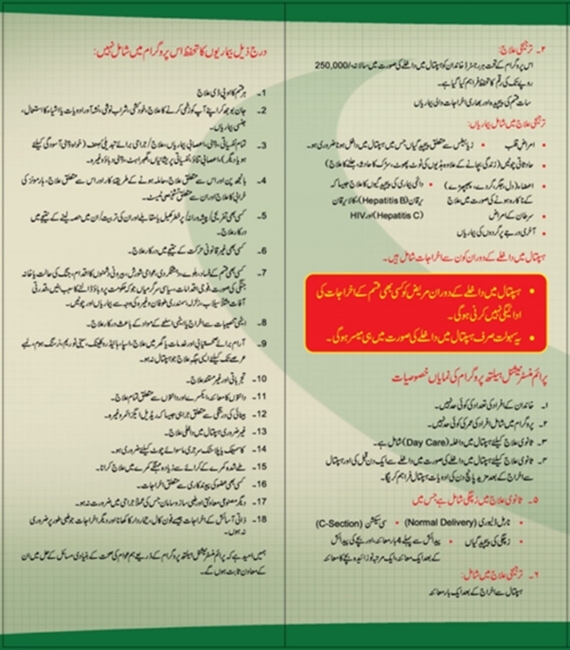 SMS your CNIC number to 8500 and check your eligibility in the program. 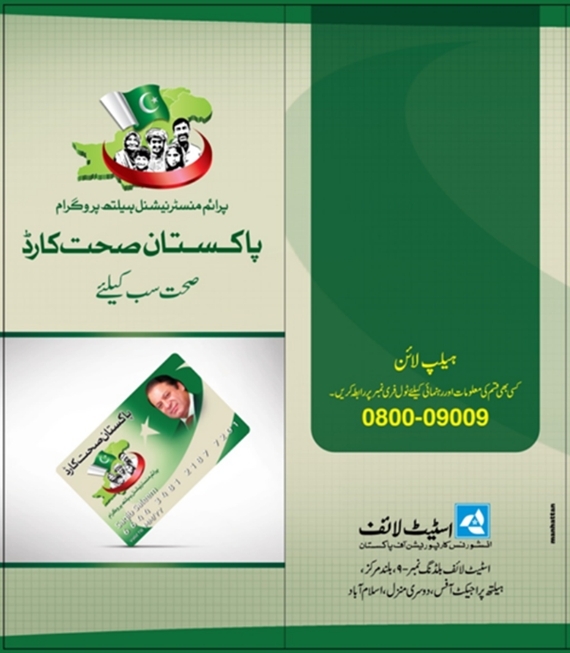 In case you have been declared eligible, you can receive your Pakistan Health Card from the card distribution center in your district. 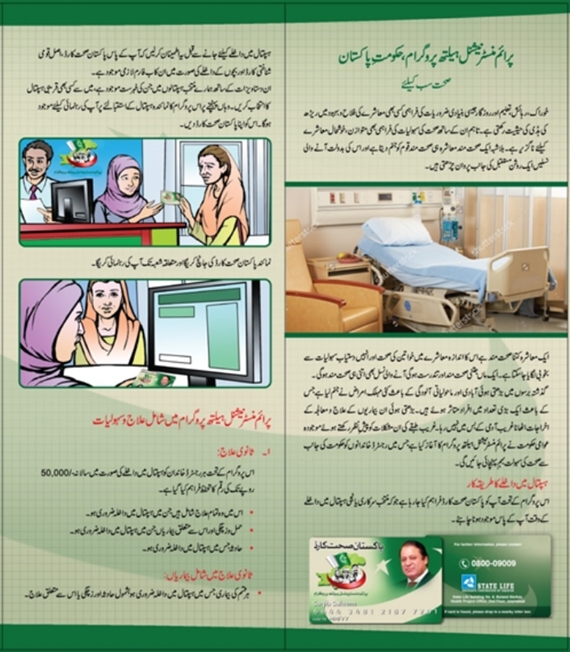 What is covered under this health scheme? In case of indoor treatment, the patient is given 350 PKR as transport fare. This facility can only be availed thrice in a year. Bring Pakistan Health Card, Original CNIC and Form-B (only in case of children) while visiting a panel hospital for treatment. Only indoor treatment (i.e. when you are admitted in the hospital) is covered in this scheme. kia tm mustahaq ho ? District Bannu KPK me ye kab huga?